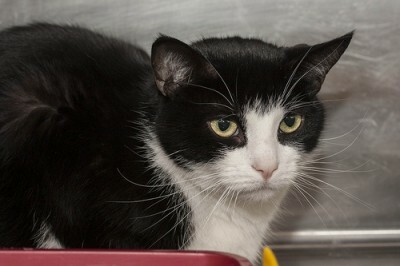 Slapshot is a very handsome gentleman looking for love! 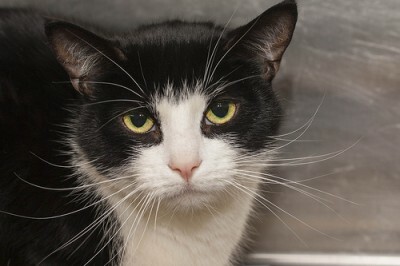 He’s not too happy to be at the shelter, as he was originally adopted from us over seven years ago. He was returned to us when his owner could no longer keep him. Slapshot is otherwise a super loving and social cat. He enjoys being petted, cuddled, and will rub faces with you. Please give this cute little guy a second chance at a loving home!